I have been out of touch for a few weeks! It is not that I don’t have anything to say, I am just having trouble carving out enough time to say it. We are busy working hard and playing harder and I didn’t feel like I had the luxury of sitting down at my computer to write. But just last week I was reminded how important it is to take time to reflect and record this amazing journey called life. As I found out, life can change rapidly. 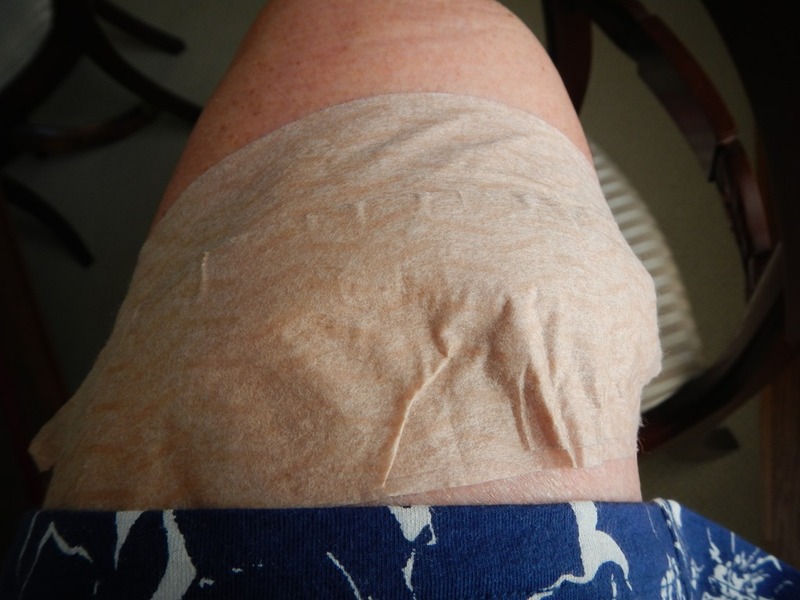 The beginning of last week I went to my dermatologist for an exema and annual skin exam. She was running late and I was in a hurry so after the exema conversation I told her I would return at a later date for the skin check. She asked it I was having any problems. 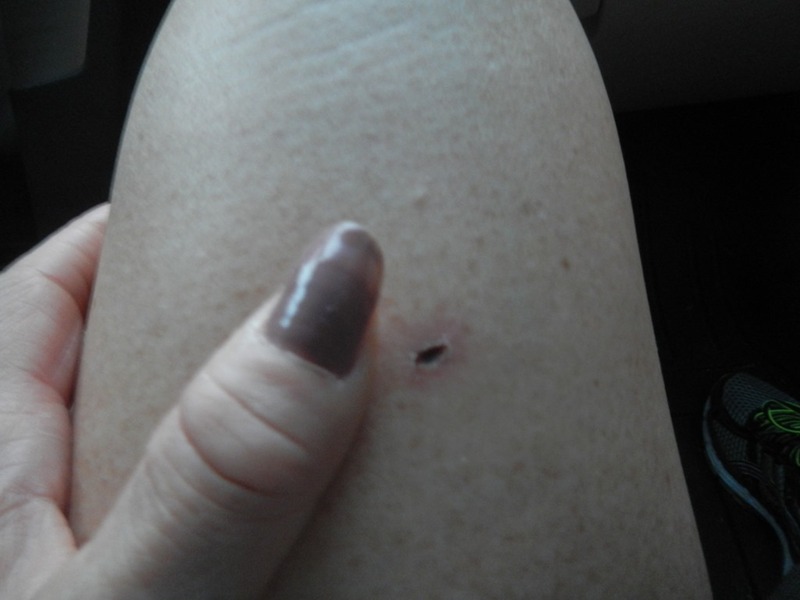 I answered no then remembered the tiny freckle on my leg that had developed a small red 1/2 circle around the edge. She looked, said it looked a little inflamed so she cut it out and sent it out for testing. The biopsy area above is about 2x as big as the actual freckle. Sorry the photo is so ghastly, it was taken in pre-sunrise light (we were on the way to the mountains for a bicycle ride) and without a flash. So here I sit Wednesday with this huge bandage covering a 3+ inch incision that has 3 layers of stitches. I am still wondering how a little, tiny, flat, non nondescript freckle turned into this. The good news is, my surgeon says the “margins are clear” (that’s a new term to me), the cancer has been removed and it was superficial enough that lymph nodes do not need to be checked. By the way, I have rescheduled the full body skin check that I was in too big a hurry to do last week. I think I have the time now. So glad to hear that all seems to be good news — how fortuitous that you mentioned this, and that your doctor paid attention. I’ve been too busy to get to my annual (um, bi-annual at best?) check-up. Better get on that! Oh do hurry and make that appointment Frances. Amazing what the most nondescript little coloration or bump can be!